Let's call it summer in winter. Wasn't it terrible, the all-week raining days? But now when the sun is finally coming out to play, I got to do some experiment with food. 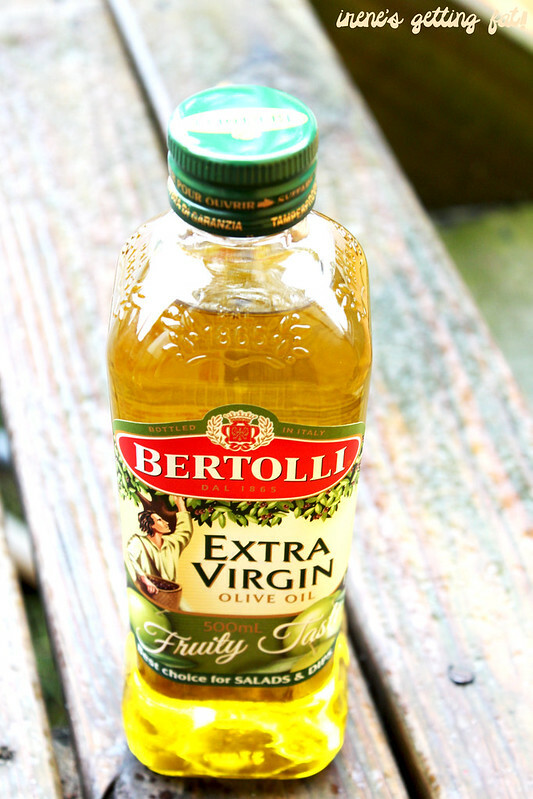 Thanks heaps to Bertolli for sending me some lovely samples of their products included on their latest campaign: the Classico, Light in Taste, and Extra Virgin Fruity Taste. 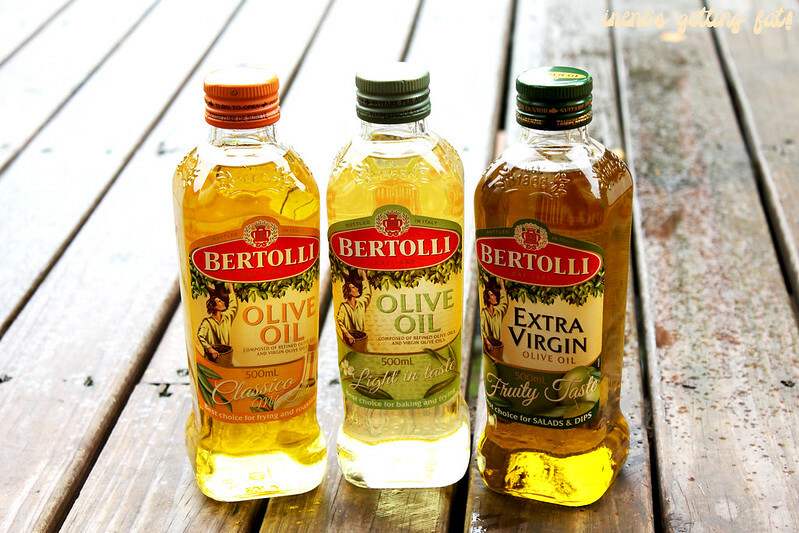 Each of them have their own specialty; take the Classico for example, which is great for frying and the Extra Virgin Fruity Taste which is perfect for cold dishes such as salads and dips. On a clear day, I finally get to use the kitchen and test Classico and Light in Taste for two, very simple recipes. 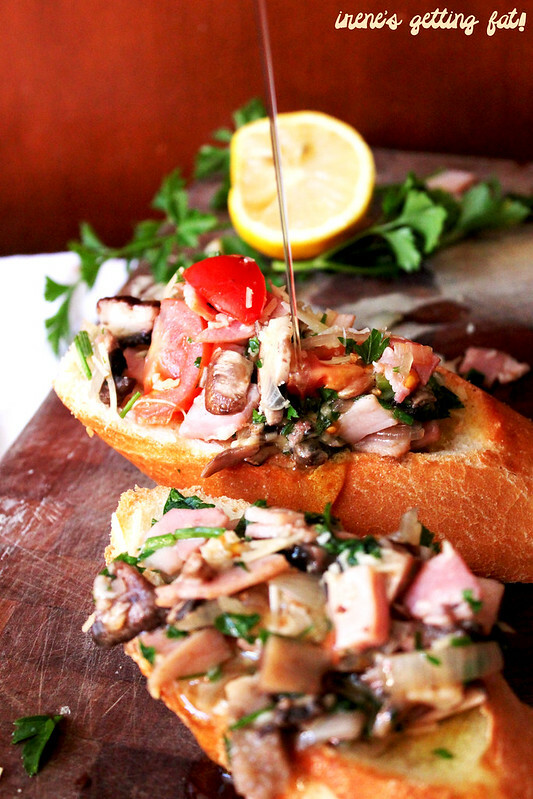 First up, the appetizer: warm mushroom crostini. 1. In heavy bottomed frying pan, heat olive oil and butter under medium-low heat; add bacon and fry until golden brown, about 4 to 5 minutes. 2. Add onion, garlic and continue to cook for 2 minutes. 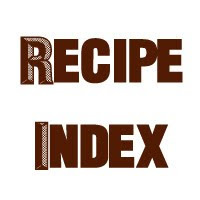 Add mushrooms and saute, stirring from time to time for 5 to 6 minutes; season with salt and pepper; when mushrooms are cooked, add parsley, tomatoes, and cheese; remove from heat, cover and let rest for 4 to 5 minutes. 3. Spoon warm mixture on to slices of toasted bread. I happened to have the most wonderful mushrooms I have ever touched from Margin's Mushroom, whose stall is trading on Paramatta Farmers' Market every Friday. They were so fresh (only a couple of days after being picked) and it reflected on the flavour and texture as well. These babies were such a joy to cook. And don't be shy with the spread of butter. But you know what, you can replace the butter with some drizzles of olive oil instead to make it a little on the healthier side. Isn't the recipe so easy? 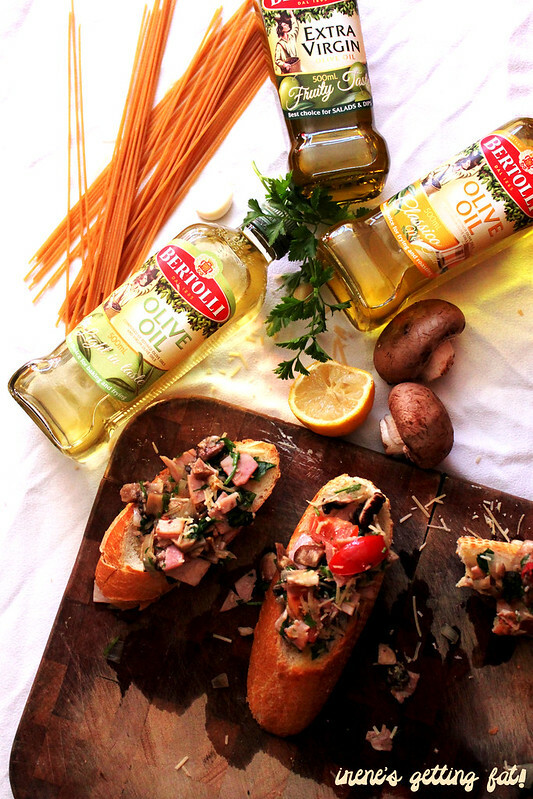 I did go through Bertolli's FB page and found some interesting recipes, but as you know me, I always settle with the simplest one. The result isn't simple in flavour though! It's a perfect entertainer I reckon. 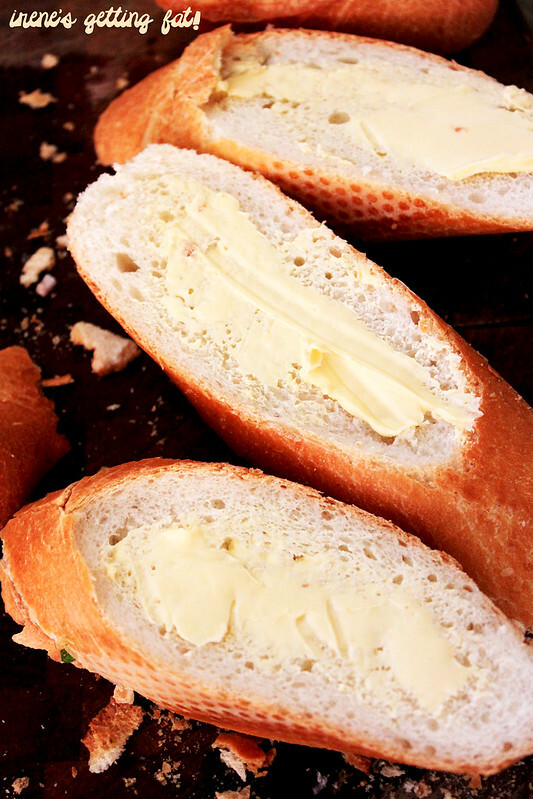 The slightly crunchy toasted baguette suits the vibrant, robust topping. 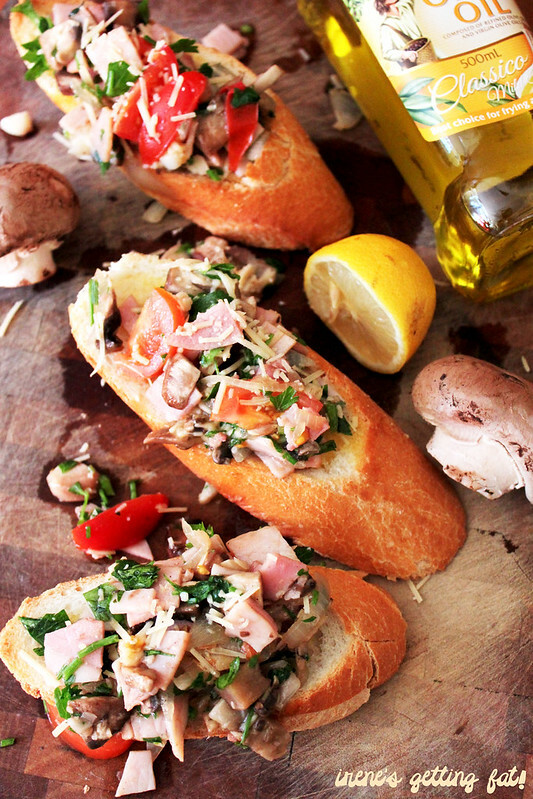 The topping isn't too heavy, full with fresh scent and taste of parsley and subtle sweetness from the tomatoes. 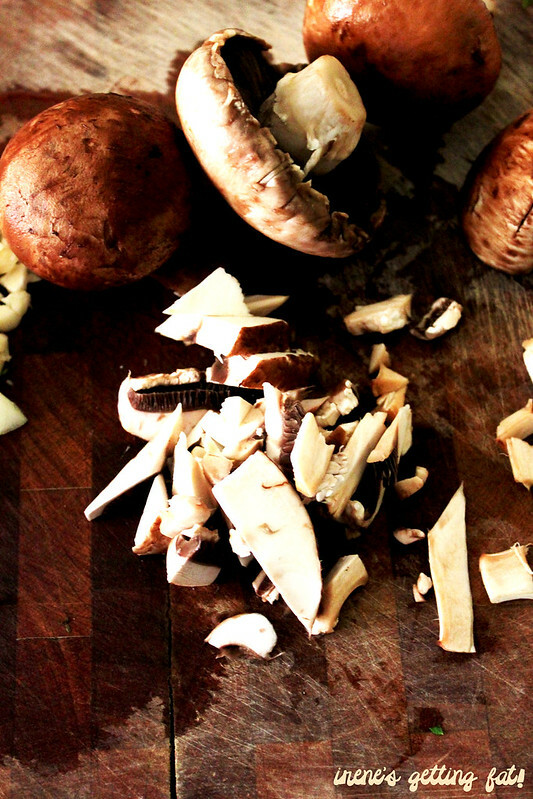 Bacon always makes the world spin better and the mushrooms have out-of-this-world juiciness. I gotta say, Classico works really well on this one. It adheres every part together, and the parmesan makes it even more irresistible. 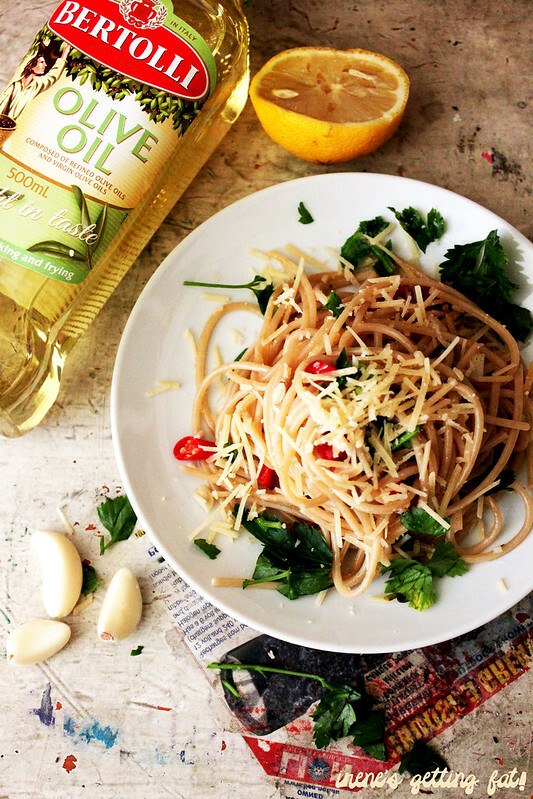 The main is one of my favourite kind of pasta dish; aglio e olio. The Light in Taste took a big part on this one. 1. Bring water to boil, then add a generous pinch of salt. 2. Slowly add the pasta. Stir occasionally. 3. Place oil and garlic into a frying pan and saute gently. 4. Add chilli, stir gently and remove from heat. 5. When pasta is cooked, drain well. 6. Toss pasta with the sauce. 7. Sprinkle with parsley and parmesan before serving. So simple yet so endearing. Salty, garlicky, aromatic, with a bit of spicy kick in the end. I am actually surprised I can make it so tasty. Add a bit of lemon squeeze before serving and it'll be more interesting in terms of the flavour. 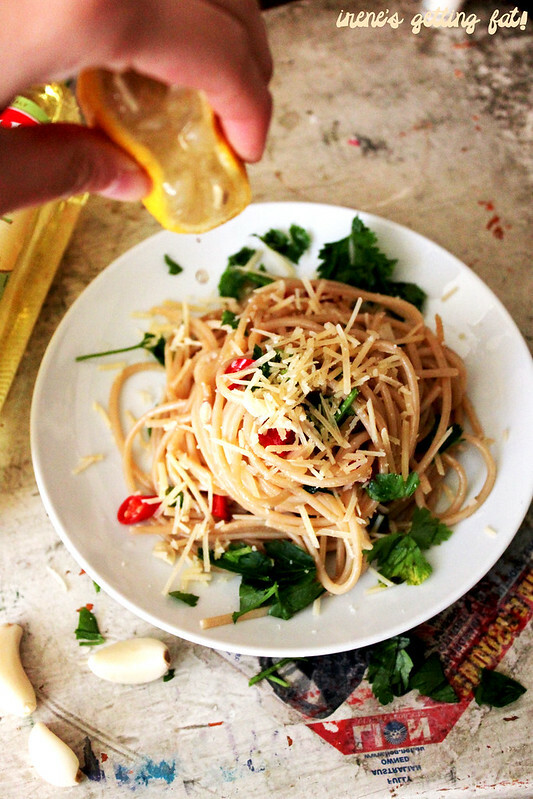 And oh, don't forget the parmesan. Lots and lots of parmesan for me, thank you. 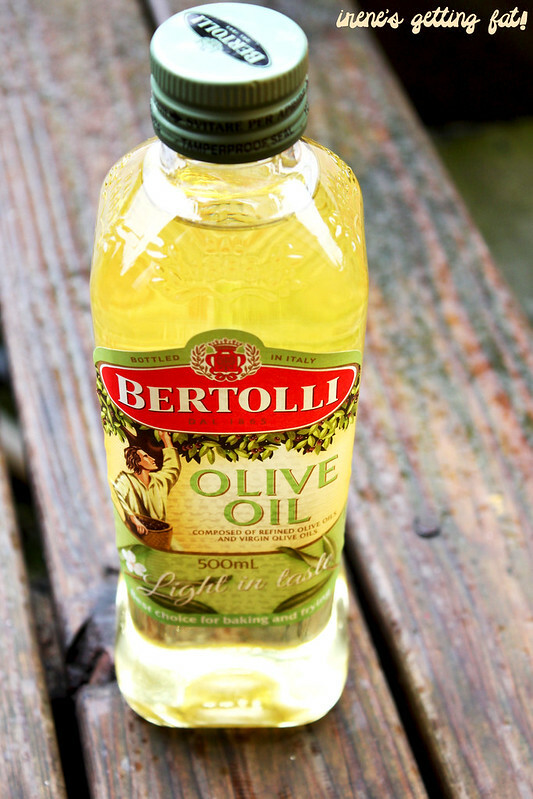 As for the extra virgin olive oil, I'll save it for the salads and dips. It has glorious smell so I reckon it'll work as a charm. These two dishes alone had brighten my day significantly, I can tell you that. Who says winter is always gloomy? Naah. (P.S. 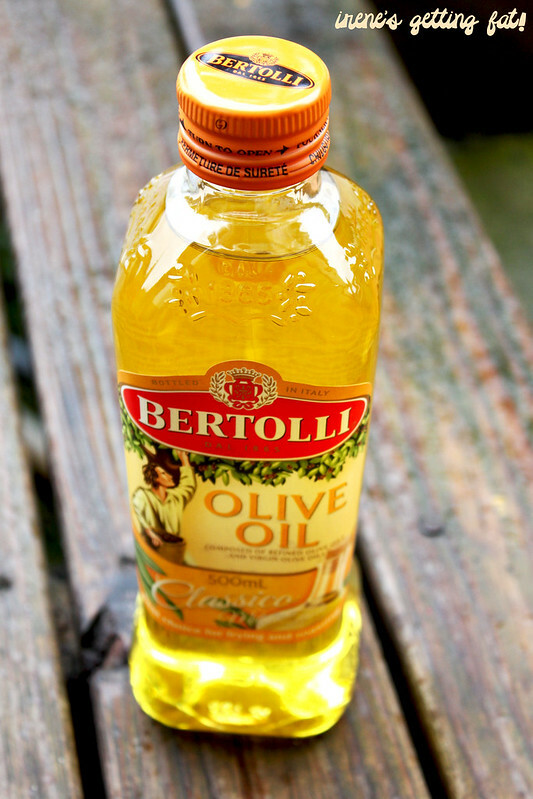 Do you know that olive oil can do your hair good by producing shiny look and removing dandruff? Or that it can help you with polishing the surfaces? Yum! They look delicious and so simple too! (: thanks for sharing! gonna try the mushroom one! It's so easy I think you'll nail it. Thanks for dropping by!